Probationary Constables Claudia Gilmore, left, Tegan Smith, Northern Tablelands MP Adam Marshall and Samantha Petty outside Armidale Police Station earlier this week. 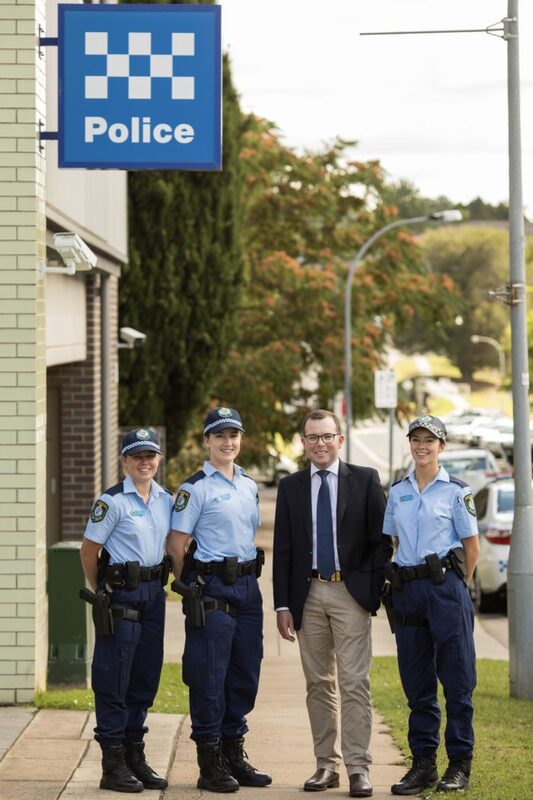 THREE new police officers were personally welcomed to the region this week by Member for Northern Tablelands Adam Marshall as they reported for their first day of duty with the New England Police District. The three new probationary constables – all part of the Police Academy graduating class Class 335 – are Samantha Petty, Claudia Gilmore and Tegan Smith. Together with there three counterparts starting this week in Moree, the Addict always officers bring the total number of new recruits in the New England District over the past two years to 26. Mr Marshall congratulated the new recruits on graduating from the Goulburn Police Academy and thanked them for their commitment to preventing and disrupting crime. “The new recruits will be wonderful additions to the local police ‘family’ and it’s great to know that they all come from country communities, having grown up in Moree, Tamworth and Lismore,” Mr Marshall said. “Policing can be an extremely challenging profession but with the training they’ve received from the academy and from what they’ll learn in their local commands they’ll be adequately prepared to step into this important role. “These recruits are part of over 5,000 to have become sworn NSW Police Officers since 2011. Class 335 included 257 recruits who have attested as Probationary Constables. These new recruits will commence on-the-job training and will continue distance education before graduating with an Associate Diploma in Policing Practice. The NSW Government has committed to fortify the force into the future with the recent investment of more than $583 million over four years to deliver 1,500 extra police across the State.